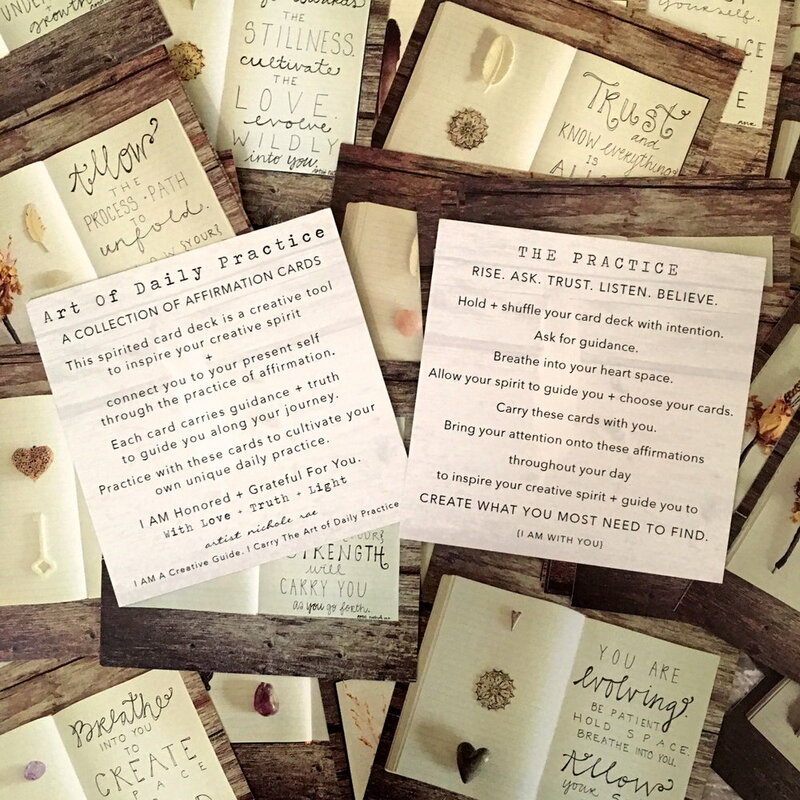 This 4x4 card deck is a creative tool to carry affirmations with you and cultivate your daily practice. Practice asking for guidance by shuffling the deck and pulling a card/s. Use this deck as a creative tool in a yoga class - give each student a card at the top of their mat as a guided intention. 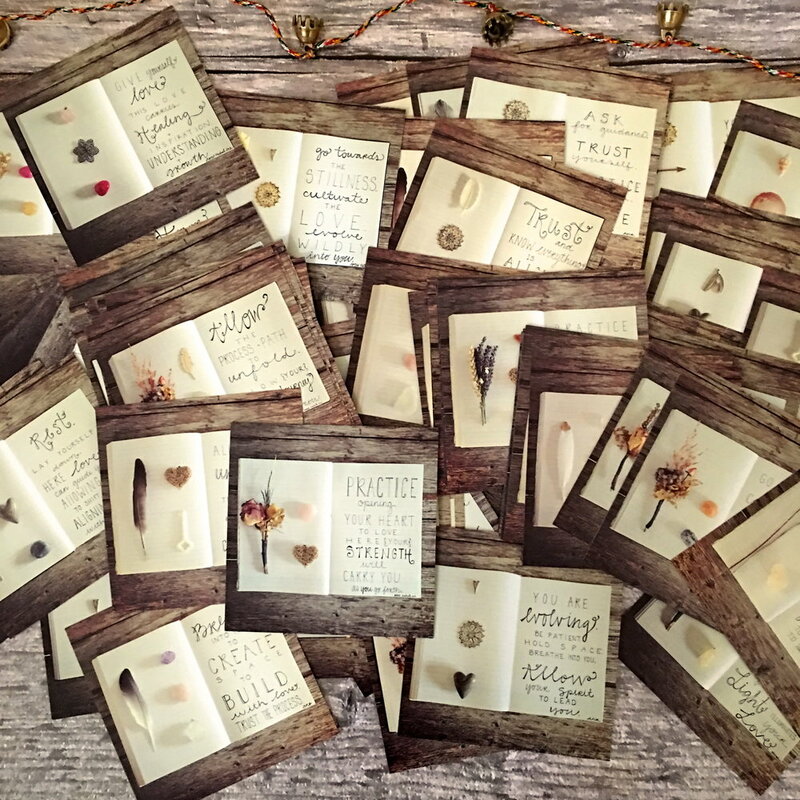 Give these cards as gifts in a greeting card or frame them as mini art pieces. Leave a card somewhere for someone else to find. If you are a yoga studio, a wellness center or have your own practice +/or shop and are interested in wholesale please email artistnicholerae@gmail.com for details. I would be honored to connect + collaborate with you. RISE IN PRACTICE WITH ME ON INSTAGRAM @artistnicholerae. Daily practices + affirmations + inspiration FOR YOU.